With energy costs at an all time high, building owners, architects, roofing contractors and engineers are all looking for a way to keep energy costs at a minimum. Conklin single-ply roofing systems have already been proven to be a great choice. 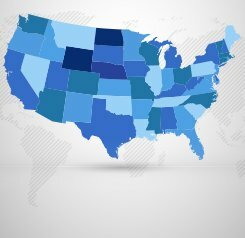 They are currently being used on over two billion square feet of roofing in America alone. We offer Conklin’s two best single-ply roofing systems, and both of these choices have some tremendous benefits that are difficult to ignore. Hy-Crown® line resists a broad range of chemicals. Works in all climates and can be applied in all seasons. Helps keep energy costs down by reflecting 85% of the sun. This ENERGY STAR® rated thermoplastic membrane is an excellent choice in re-roofing and new roof applications. It provides protection from harsh elements like: rain, hail, wind and chemicals. 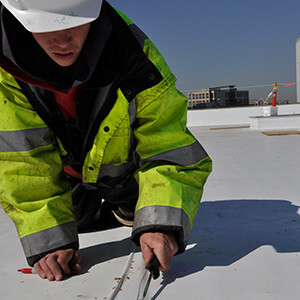 This single-ply roofing product is reinforced with durable, synthetic rubber. The copolymer used in this roofing system enhances the performance of the roof by creating great flexibility, excellent strength and an impressive durability that is hard to find on the market today. Recognized by major code approval agencies as a natural fire resistant material, Flexion by Conklin is an excellent choice for single-ply roofing membranes. 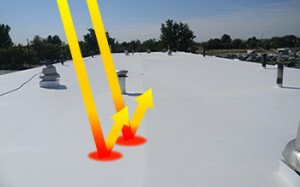 Hy-Crown stands up to the harshest roof environments in the world. This single-ply roofing membrane is made with Dupont Hypalon, a CSPE synthetic rubber that is extremely tough. Not only will this material offer superior resistance against water and leaks, but it will also withstand extreme temperatures, harsh chemicals and dangerous UV light. This product has been put to the test, and it has been used by the roofing industry for over 25 years. Hy-Crown makes an excellent choice for commercial and industrial applications. 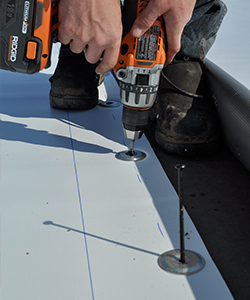 Hy-Crown can be mechanically fastened and adhered to a roof structure. This completely eliminates the extra weight of a ballast that other single-ply roofing systems rely on. Hy-Crown can reduce the weight of a roof to less than one pound per square foot. This helps remove the heavy load of the roof and prevents premature wear caused by excessive loads. All of these great single-ply roofing membrane features are backed by a 20-year, non-prorated warranty. Oftentimes, materials and workmanship are both covered 100% for the entire length of the warranty. The material warranty is also completely transferable if the building gets sold. Your Single-ply Roof Can Pay For Itself! 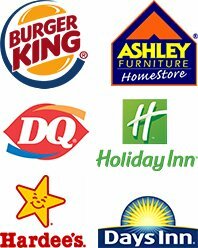 Every single penny you put into your building is considered an investment. A Conklin single-ply roofing membrane can pay for itself in saved energy costs by diverting 85% of the sun’s heated rays away from the building. Air conditioning and refrigeration systems will no longer have to work as hard. These type of savings will quickly add up. 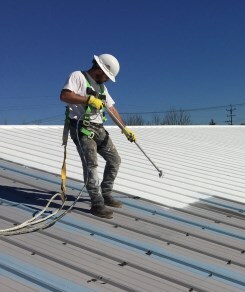 A Conklin single-ply roofing system installed by our Choice Roof Contractors is the smart choice for your next industrial or commercial building.